FAQs / Where do I find a list of Topics and Lessons? A full list of topics can be found in the Tour Section of our website. 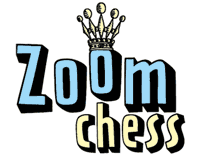 To access them in the ZoomChess application, first launch ZoomChess. You’ll be in the Training Room, and notice there are four buttons at the top. One of them is called “Topics”. From there, you will be able to access the curriculum by topic. Your body has to be in top condition. Your Chess deteriorates as your body does. You can’t separate body from mind.